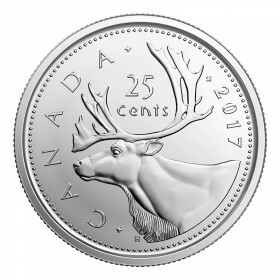 The caribou on a 25-cent piece dates back to 1936 when a change in the sovereign's image on circulation currency prompted the Canadian government to modify the designs on the reverse side of coins as well. 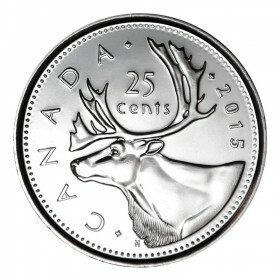 The caribou design was created by Canadian artist Emanuel Hahn and was first used in 1937. 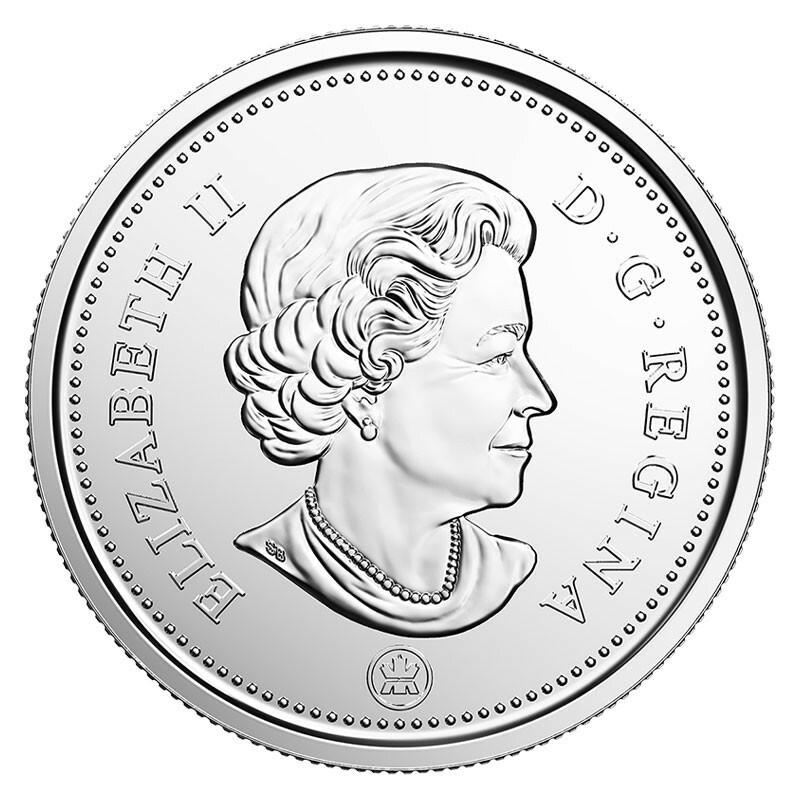 The obverse design features Her Majesty Queen Elizabeth II in right profile at 77 years old, surrounded by the Latin inscription "ELIZABETH II D. G. REGINA". 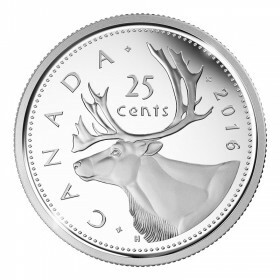 The Royal Canadian Mint privy mark sits under the bust. 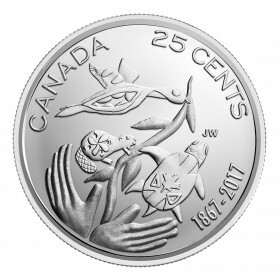 This effigy was designed by Susanna Blunt. 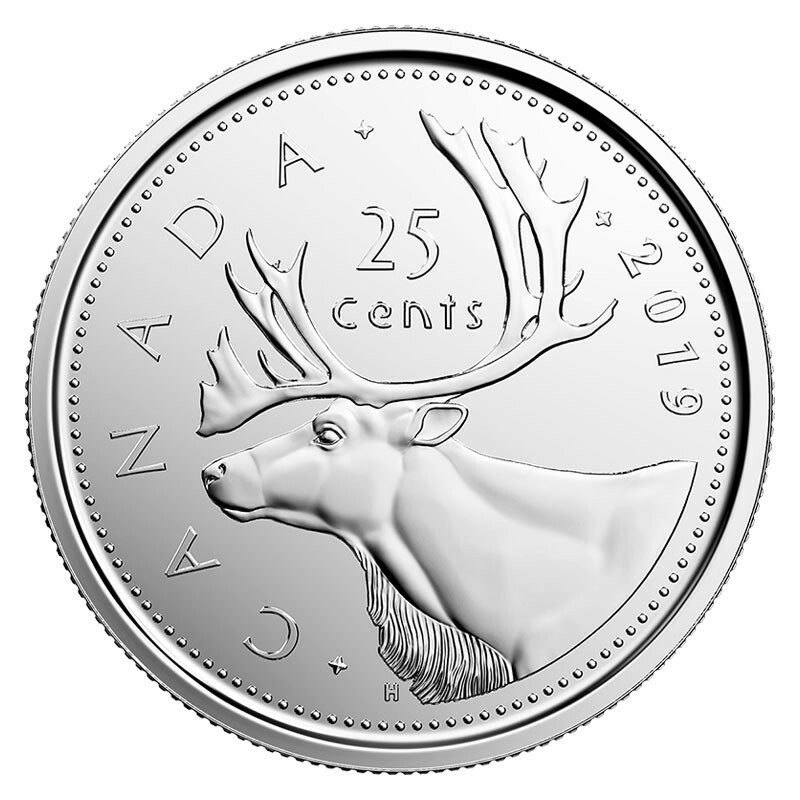 Designed by Emanuel Hahn, the coin features a left facing image of a Caribou head. 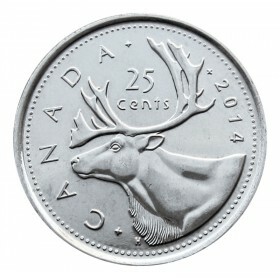 The denomination sits between the antlers. Text to the left reads "CANADA", while the text to the right features the date. 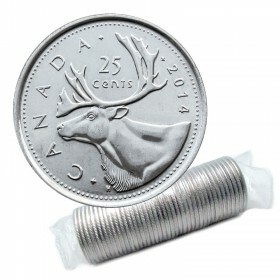 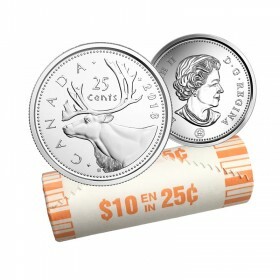 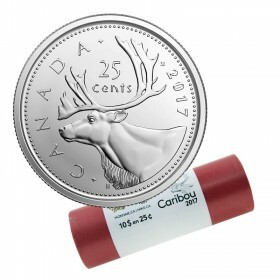 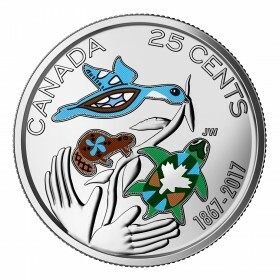 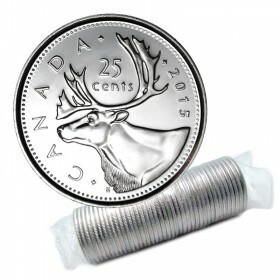 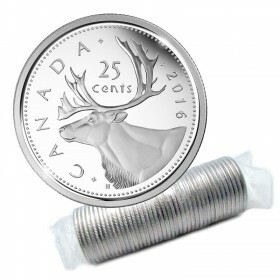 2019 Canadian 25-Cent Caribou Quarter Coin comes from an original roll in brilliant uncirculated condition.